OmniBAS™ is a next-generation native-packet Point-to-Point microwave (PtP MW) solution that ideally fits today's and tomorrow's bandwidth-intensive IP transmission applications. 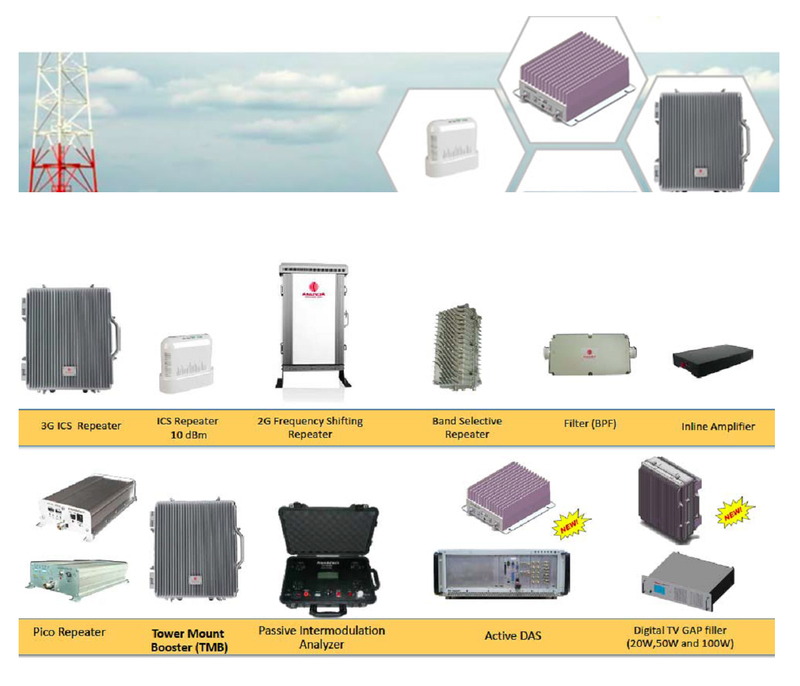 OmniBAS™ ideally implements the MW access & aggregation segments of mobile 3G+ / LTE / heterogeneous networks, extends the reach of fixed broadband to rural areas and rapidly deploys IP communication and control links for utility companies and governmental agencies. It offers excessive IP radio capacity supporting modulations up to 2048-QAM, while at the same time enables an evolved and smooth migration to an all-IP architecture. Legacy (TDM/SDH) services are seamlessly transported over Pseudowires with carrier-class reliability and the highest availability. OmniBAS™ allows highly-flexible and cost-optimized link configurations through the use of all-outdoor (OmniBAS™ OSDR) and split-mount (OmniBAS-2W, OmniBAS-4W) units in tail sites, or through high nodal solutions (OmniBAS-8W) in traffic aggregation sites, all from the same platform. 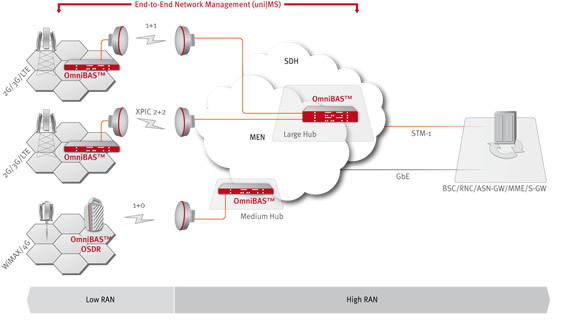 OmniBAS™ CBAN (Converged Backhaul Aggregation Node), in particular, is a unique multi-technology solution allowing aggregation of PtP, Point-to-MultiPoint (PtMP) and E-Band links, and supporting a wide range of connectivity options (E1, SDH, GbE). The advanced radio and smart packet networking features of OmniBAS™ products assure bandwidth optimization, carrier-class service delivery and highest-possible availability. The per-link line rate, on a single 56 MHz channel, exceeds 810 Mbit/s (1,620 Mbit/s with XPIC), while a single 1RU (2RU) indoor unit can support up to four (eight) links. Moreover, advanced IP packet optimization techniques increase throughput even further. RADWIN 2000 is the ultimate TDM and IP backhaul solution. Delivering high capacity of up to 250 Mbps and 16 E1s/T1s, RADWIN 2000 backhauls traffic for 2G to 4G base stations at a range of up to 120 Km/75 miles. RADWIN’s wireless systems overcome geographical barriers that exist in rural areas, working in severe weather conditions, and operating even with obstacles to line-of-sight such as forests and hilly terrain. RADWIN’s Point-to-Point solutions provide cellular operators with a cost effective wireless backhaul alternative that reduces expensive leased line charges. Working in near and non-line-of-sight and over tough terrains, RADWIN provides a low CapEX alternative to standard microwave due to fewer towers requires at a reduced height. Extremely simple to install, RADWIN’s systems are virtually maintenance-free. RADWIN's Point-to-Point solutions are deployed worldwide by Tier-1 mobile operators. Digital Solution International Co., Ltd.
Digital Solution (Myanmar) Co., Ltd.